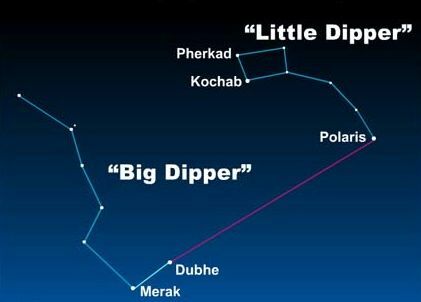 Only a few more sleeps until May 24 and the much anticipated Camelopardalid meteor shower. A cosmic event void of any reference points, a never before encounter with debris from Comet 209P Linear. Science offers a “best guess” of peak action between 2 and 4 AM EDT on May 24. Estimates range from 200 – 1000 meteors an hour, cautioning this is pure speculation based on projections and models taken from available data. As an unknown event, it’s possible outbursts could occur suddenly at any time on the 24th. Earth isn’t the only recipient of 209’s debris trail – the Moon is in line for meteor action. If you have a backyard telescope, time to dust it off and focus on possible explosions as cosmic dust impacts the crescent moon. Nobody really knows for sure what will transpire on the 24th. We know every speck of debris left behind since 1803 is out there somewhere – we don’t know if that amounts to a hill of beans. Meteor storm or cosmic fizzle – if your sky is clear, take a leap of faith and gaze at the sky. If you can’t be bothered or need your beauty sleep – the link below the picture will direct you to a meteor cam poised to capture the show, as well as great background information. For those in a hurry – directly below is a link to the meteor cam. 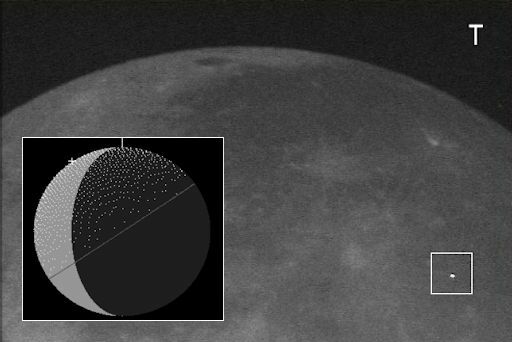 According to NASA’s Meteoroid Environment Office, the best time for amateur astronomers to scan the Moon for lunar meteors is after 0800 UT (4 a.m. EDT) on May 24th.